Property Maintenance Tips for Spring | Curchod & Co.
As we enter into Spring, hopefully leaving the very cold weather behind, the thoughts of many a landlord and building owner move to the health of their buildings. With warmer, dryer weather on the horizon, more maintenance jobs can be completed without the delays that are more often incurred during erratic Winter months. As a commercial landlord or business owner, you know that the health of your building is the key to the health of your income. At Curchod & Co we manage building maintenance programmes for a range of industries. So we know where you should be directing your attention this Spring. A schedule of maintenance allows you to identify and prevent minor upkeep issues before they become major structural issues. This action helps to avoid emergency repairs and will help you to save money in the long term. Tasks such as gutter cleaning, roof inspections, building surveys and pest control should be timetabled. In this way, your commercial property maintains its value to tenants, thus reducing tenant turnaround. Important though a plan is, include a certain level of flexibility to allow you to optimise any warm, dry spells this Spring. Maintaining your building is more straightforward during periods of good weather. So once you’ve identified any problems, ensure that they are fixed even if the problem seems to be eradicated by good weather. Drawing up a thorough yet flexible property maintenance programme for Spring may appear daunting. At Curchod & Co we look after properties of all shapes and sizes, so can manage your maintenance programmes without fuss. Where building maintenance is concerned, you get what you pay for. There is no substitute for investing in your building. Insufficient investment means that problems can quickly escalate, ultimately losing you both tenants and reputation. Instead, you can limit your expenditure without taking risks by appointing a professional management company. At Curchod & Co we have relationships with maintenance companies and contractors that allow for lower ongoing costs. By utilising the experience that our property professionals hold, you can maintain your properties at a high level without the price tag. As an area of your commercial building that is not immediately visible on a daily basis, roofs can easily be neglected. Poorly maintained roofs can have a disastrous effect on a building. Planning for a professional survey this Spring will identify signs of water penetration among other issues. Signs both outside and inside the building such as bubbling, mould or watermarks all indicate issues which must be resolved. Your property manager can arrange regular inspections to ensure that you don’t get caught out. Maintenance is not just an issue for occupied buildings. Issues such as damp or mould that would be easily identified in an occupied property can become troublesome if they go unnoticed. However, when your property management professionals have ensured that any vacant buildings have had a health check, they are more likely to become occupied. Indeed, by ensuring that your buildings are regularly maintained, you will find that you experience less vacancy. 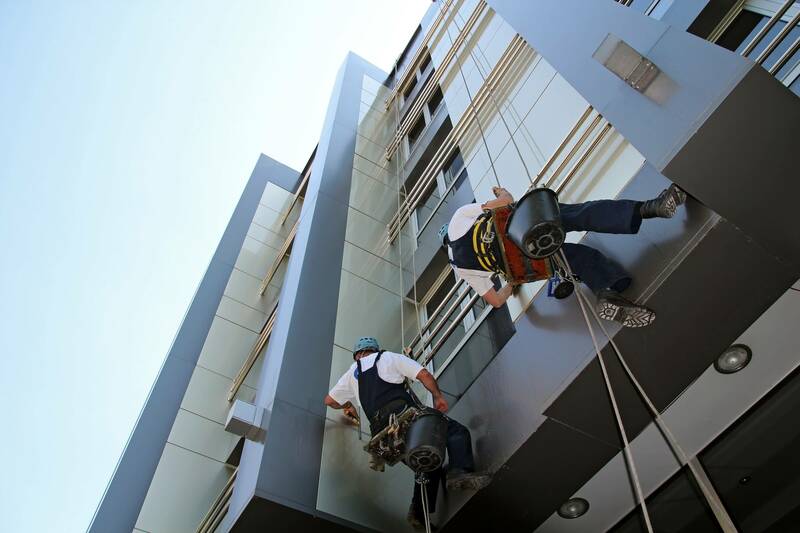 The decorative repair of an internal office and external structure is indicative of the health of that building. In this way, reliable and high-quality tenants can be won or lost for a commercial landlord. For tenants, internal decorative standards can have a very real impact on the efficiency and wellbeing of their staff and is high on their list of priorities. As a landlord, overcoming issues caused by neglected upkeep takes up time that you could be dedicating to growing your business. The cheaper and more efficient way to prevent problems occurring in the first place is through commercial property maintenance. When you outsource to professionals such as Curchod & Co, you can enter into Spring knowing that your building will enjoy a fresh lease of life.